The South Pacific sailing ketch ‘Irishman’ was built by Palmer Johnson and designed by John G Alden. 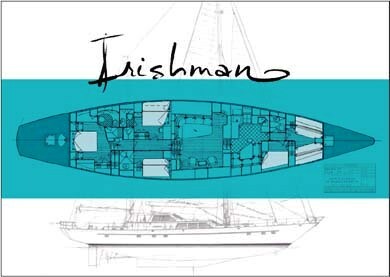 Irishman was refitted in 2003 and has been impeccably maintained both inside an out. 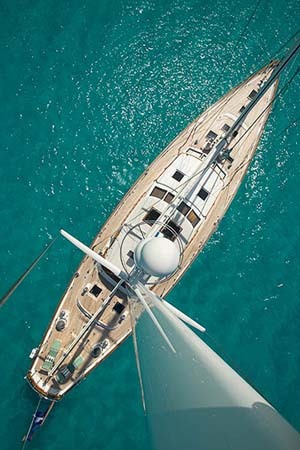 Her functional rig and classic lines ensure an impressive performance while her comfortable interior and spacious deck areas provide the perfect atmosphere for enjoying the South Pacific backdrop. 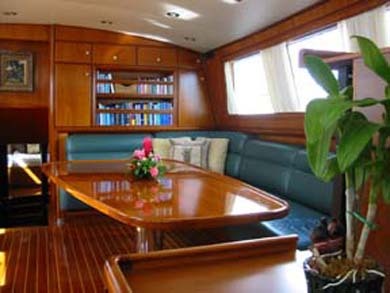 Irishman’s large roomy main salon has an open galley and plenty of seating Al fresco dining is also possible in the cockpit and sundeck aft. 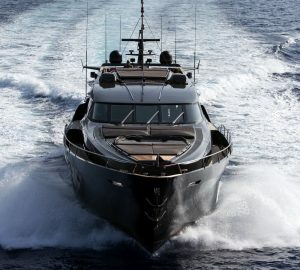 Her crew of four are well known to the charter industry for their professionalism and warmth by peers and charter guests alike and are ready to welcome you on board for a cruise of a lifetime. 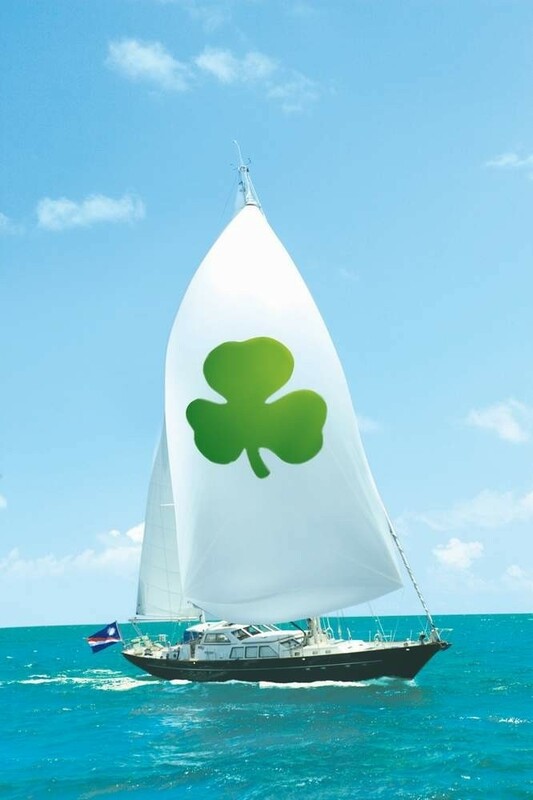 Irishman will be chartering in the Marquesas from mid-April through May, 2006 and then will be based in the beautiful islands of Tahiti and Bora Bora for the summer of 2006. 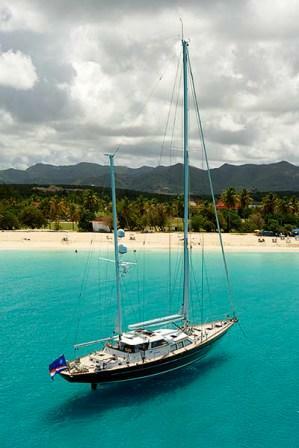 They will be traveling through the Cook and Fiji Islands on their way to New Zealand for chartering next winter. 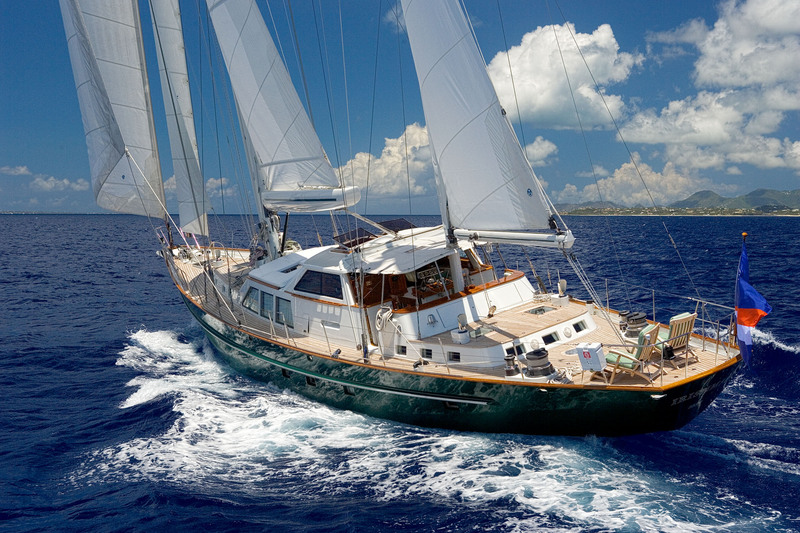 South Pacific sailing charter yacht Irishman accommodates six charter guests comfortably in three staterooms. 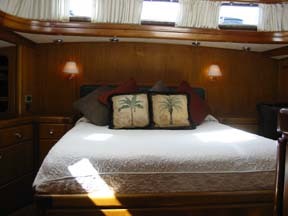 The Master cabins spans the full width aft and has a queen bed. 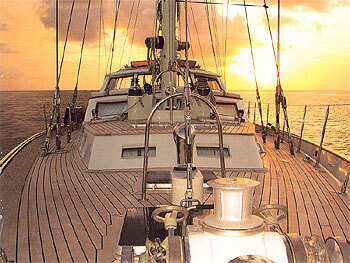 The remaining two cabins have a double and a queen bed, both with an upper single berth. All rooms have their own ensuite bathrooms. 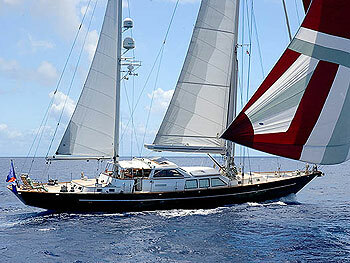 The crew are accommodated in private separate quarters. 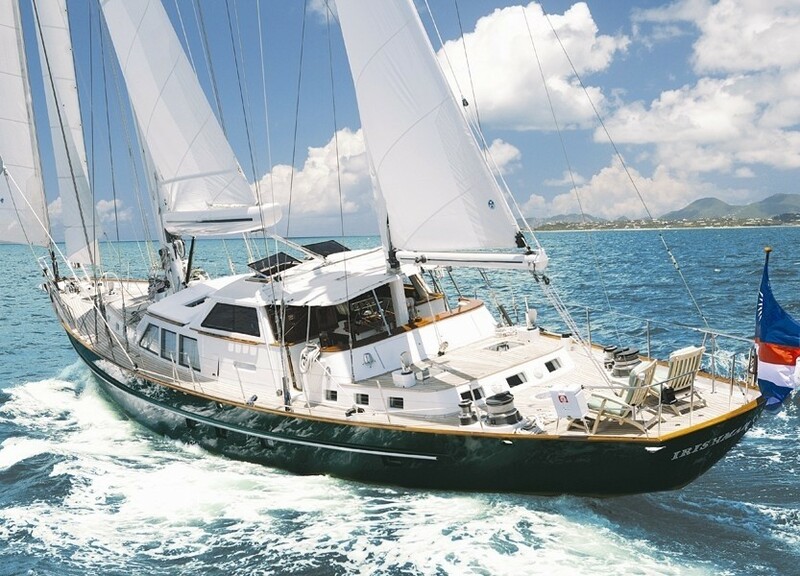 Luxury South Pacific sailing charter yacht ‘Irishman’ offers the following yacht charter extras, amenities and facilities: A 36" Sharp Hi-Def LCD screen, Sony DVD multi system, Harmon Kardon 6-CD changer, JVC tuner-amp, Bose speakers, satellite TV, DVD player and CD player. 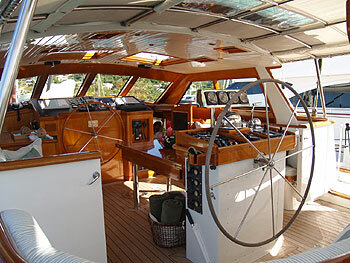 Communications on board include, Wifi, KVH Fleet Sat Comm - fax, phone, info, ISDN and a Motorola Iridium Sat Phone. 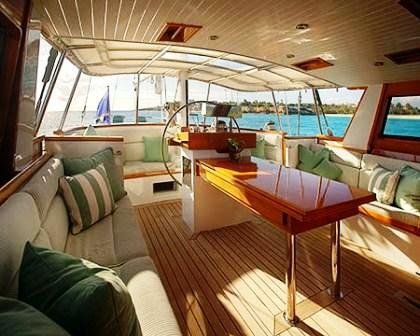 Outside in the South Pacific sunshine, enjoy a 14'6" Novurania tender with 60 hp Yamaha, 2 inflatable kayaks water skis, snorkeling gear, "Donut" and "Hot Dog", wake board and fishing gear.